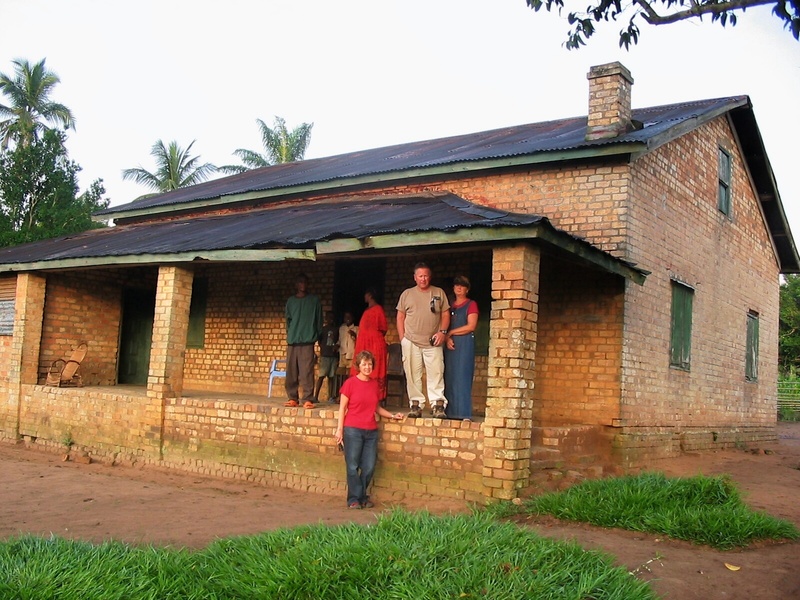 Stan describes what their home was like on the mission station when he was a child and then describes its condition when he and Brad returned to Congo in 2008. Stan and Brad’s old home. Stan and Bonnie are on the porch with the current pastor’s family. Brad’s wife, Sharon, stands in front of the porch.